The winning design has been announced in the architectural competition for the new US embassy to be built at Nine Elms. It’s a dramatic and eye catching design which should be a vast improvement on the current scattering of anonymous warehouses. There is a long and well illustrated description on the site of the winning architects, KieranTimberlake. The design places the embassy building at the center of the Nine Elms site and develops the surrounding area into an urban park. The new embassy meets all the required security standards while honoring the English tradition of urban parks and gardens as the context for many civic buildings. The new embassy, with its gardens, will establish a strong framework for the urbanization of the Nine Elms redevelopment zone. There are two major east-west pedestrian and vehicular paths, one existing and one to be improved, and the other proposed as part of the enabling infrastructure for the Nine Elms development. The existing infrastructure is along the south Thames embankment and is composed of a river walk paralleled by Nine Elms Lane. The proposed new infrastructure to the south of the embassy site is a pedestrian greenway that will connect the embassy site to Vauxhall Station, the nearest tube stop to the east, and on to the proposed new Battersea developments to the west. Poised strategically midway between these parallel paths, the embassy becomes part of an urban park that connects the Thames embankment to the new pedestrian way to the south. The paving about and within the embassy site utilizes the familiar limestone used in many London walks and parks. London Plane trees provide shade and form at the perimeter and along Nine Elms Lane as well as the proposed new walk to the south that connects the site to Vauxhall Station. Seen from the north along the Thames embankment and Nine Elms Lane, the new Embassy Park contains a pond with walks, places to sit and landscape along its edges, all open to the citizens of London. Trees near the pond are to be North American species, such as the Weeping Willow and the Bald Cypress. Others, while native to North America, were long ago brought to England and are now common to the English landscape. There is a lot more about the building itself, but it is the exterior and the landscape in which it is set which are much more important for most of us who are unlikely to have much occasion to go – or be allowed – inside. The original outline plan included proposals for opening more routes through the Nine Elms site to the river, particularly for pedestrians and cyclists. It’s not clear from this description whether all that has survived – but it’s one to keep an eye on, as it is potentially a significant benefit to our area. The other direct effect is likely to be increased pressure on transport. The proposed Northern Line extension to Battersea is still in the Mayor’s Vauxhall Nine Elms Battersea Opportunity Area Planning Framework, but the US Embassy is probably not big enough by itself to provide any assurance that it will ever materialise. Increased pressure on Vauxhall, further exacerbated by the policy of encouraging new tall buildings there, risks crowding out existing transport users. According to the Washington Post, construction is due to start in 2013 and be completed by 2017. As close as I could get it, these two maps show exactly the same area. The lower one will be instantly familiar, the upper one is a small piece of a map of London published in 1827. The whole thing is available online in much greater detail here – click on areas of the small map to get much more detailed scans of the whole thing. The small area below is taken from this sheet, covering Kennington and Vauxhall. 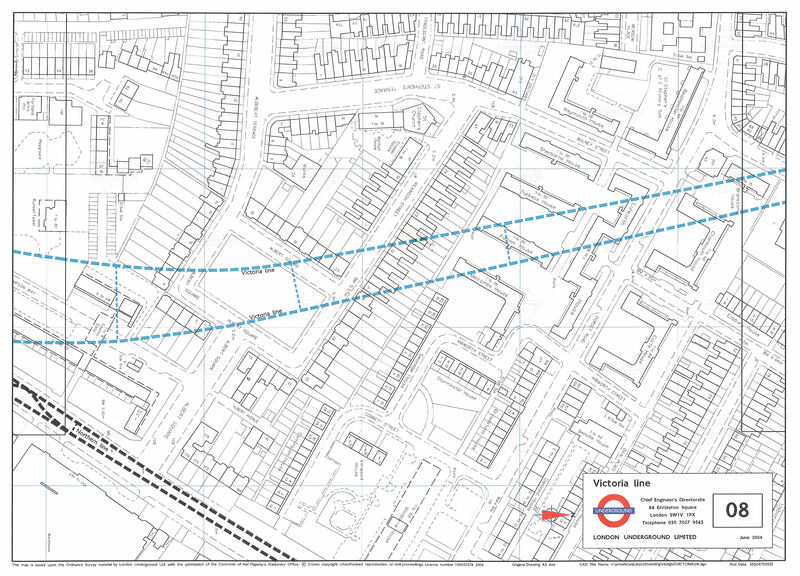 Interesting to see how South Lambeth Road has bent through 90 degrees since its early life along what we now know as Dorset Road – to say nothing of the metamorphosis of South Highland Place into South Island Place, when there are neither highlands nor islands to be seen. It’s also possible to see very clearly how street names capture traces of the past. The Lawn of 1827 has a faint echo in Lawn Lane, the sometime grandeur of Clayland House survives in Claylands Road.